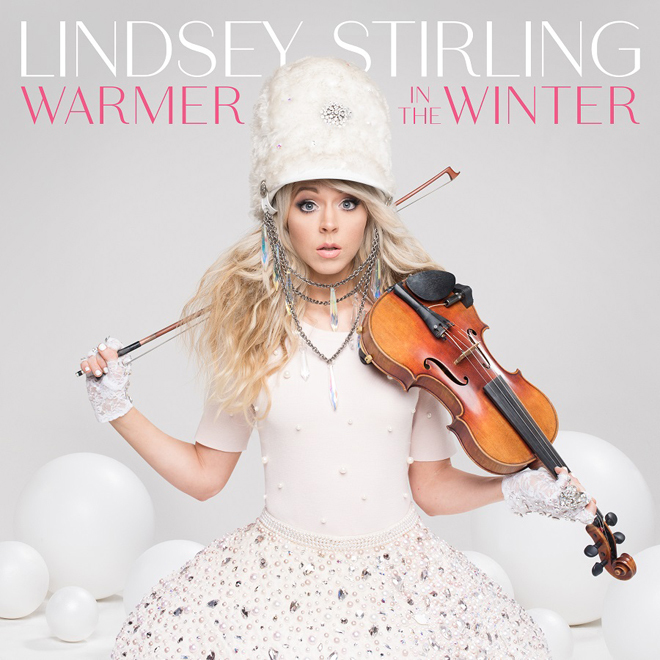 Warmer in the Winter, the first Holiday album from critically acclaimed electronic violinist Lindsey Stirling, was released on October 20, 2017—on Lindseystomp Music / Concord Records. The album features renditions of Holiday favorites “Jingle Bell Rock,” “Silent Night,” “You’re a Mean One, Mr. Grinch,” and “Let It Snow,” as well as a few original Holiday songs written by Stirling. A slew of guest features by chart-topping artists appear on the album: Becky G, Sabrina Carpenter, Trombone Shorty and Alex Gaskarth of All Time Low. In support of the album, Stirling embarked on her Warmer in the Winter Christmas Tour in Albany, NY on November 8. The multi-city trek hits a number of major cities across the U.S. including New York, Philadelphia, Chicago and Los Angeles, and will feature a fully revamped stage production with elaborate Holiday themes as well as Stirling’s signature brand of dance routines and on-stage visuals. The multitalented Stirling recently joined the 25th season of ABC’s smash series Dancing with the Stars. Along with partner Mark Ballas, the pair competed with other cast contestants including Drew Scott, Terrell Owens, Nick and Vanessa Lachey, Frankie Muniz, former NBA star Derek Fisher and Paralympic swimmer Victoria Arlen. Lindsey Stirling is one of the biggest artist development breakthrough stories in recent years. An acclaimed violinist from Gilbert, Ariz., Stirling has entered a futurist world of electronic big beats and animation, using her classical violin training to leap through the music industry with almost 10 million YouTube subscribers, over 1.9 billion views on her YouTube channel, two Billboard Music Awards, Billboard chart-topping hits and sold out tours worldwide. She’s created a new music world where modern classical meets the infectious energy of dance and electronica. On stage, Stirling moves with the grace of a ballerina but works the crowd into a frenzy, “dropping the beat” like a rave fairy. Stirling’s most recent and critically acclaimed third studio album Brave Enough, debuted at #5 on Billboard’s Top 200 Album Chart and went on to score the #1 spot on Billboard’s year-end Top Dance/Electronic Album list—placing ahead of dance music heavyweights Chainsmokers, Flume and Kygo. The album also had the highest selling week for an album title on the ranking chart and Stirling herself placed at #6 on the Billboard Top Dance/Electronic Artist year-end list. 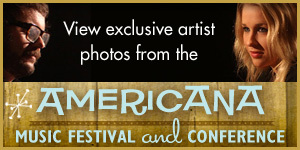 Collaborations on the album include ZZ Ward, Andrew McMahon in the Wilderness, Rivers Cuomo and Christina Perri to name a few, and earned Stirling a 2017 Billboard Music Award for “Top Dance/Electronic Album.” The album’s current single “Love’s Just A Feeling” featuring up-and-coming songstress Rooty, recently made its powerful debut on Jimmy Kimmel Live!, and has begun to pick up traction at radio stations across the U.S.
Stirling’s professional journey began in September of 2012, with the release of her self-titled debut album. Featuring her smash hit “Crystallize,” which has racked up over 184 million YouTube views, the album reached #1 on Billboard’s Dance/Electronic Chart and Classical Album Chart, earned her a 2014 Billboard Music Award nomination for “Top Dance/Electronic Album,” and was certified Gold by the RIAA. The album reached #1 on Billboard’s Dance/Electronic Chart and Classical Album Chart and peaked at #23 on the Billboard Top 200. In 2014, Stirling released her sophomore album Shatter Me which debuted at #2 on Billboard’s Top 200 album chart and has sold over a quarter million copies in the U.S. It was #2 on the Billboard Year-end Dance Electronic Album Chart, #1 on the iTunes Album Chart, spent an impressive 21 weeks straight at the #1 spot on the Billboard Classical Album Chart, and was recently certified Gold by the RIAA. The album includes a collaboration with Halestorm lead singer Lzzy Hale on her smash single “Shatter Me,” which has over 77 million views on YouTube and took home the 2015 Billboard Music Award for “Top Dance/Electronic Album” of which Avicii, Disclosure, Calvin Harris and Skrillex were also nominated. In 2016, Stirling released her first book with Simon & Schuster, a memoir called The Only Pirate at the Party which she co-wrote with her sister, Brooke S. Passey. Released in January of 2016, the book debuted on the New York Times’ best-seller list and shares stories of Stirling’s humble yet charmed childhood, humorous adolescence, life as a struggling musician, personal struggles with anorexia, and finally, success as a world-class entertainer. Stirling’s critically praised concerts have sold out theaters and arenas across the globe, spanning the U.S., Europe and South America. Recently Stirling has played to packed crowds at venues such as Red Rocks Amphitheater in Denver, The Chicago Theatre, New York’s Central Park SummerStage and the Greek Theatre in Los Angeles. To date, Stirling’s tours have sold over 500,000 headline tickets worldwide. Stirling is the model of a modern independent recording artist, with a symbiotic relationship with her fans. A motivational speaker in her spare time, Stirling uses her own story to show teenagers that you’ve got to have confidence in the very thing that makes you unique—then wait for the world to catch up. In the near future, Stirling will lend her likeness to a new comic book series called Sparrow, for which she teamed up with artist/writer Darick Robertson and co-writer R. Eric Lieb. We talked with Lindsey Stirling about her passion for music and dance, her love for songwriting, her strong faith that has always been an internal compass, and the joy that the Holiday season brings. Why did you decide to record your first Christmas album Warmer in the Winter? I love Christmas music so much. I love the Holiday. I feel Christmas is brought to life every year by music. The sounds and lights get you in the mood. I’m excited to add my own interpretation and twist to what makes the season feel Christmas-y. I decided last fall to make this album. We looked at my calendar and I finally had a free fall. I decided to keep it open to do this album and tour. Now that I’m here, my fall is definitely not free. (Laughs) It’s probably the busiest I’ve even been. I’m still excited to do all the things I’m doing. I am so glad this album was released in late October, and I started the tour the first week in November—we’re making it all happen—all the dreams. Is there one song you are especially glad made it on this album? You fall in love with songs in different ways for different reasons. I’m still in that process. Once you make the videos and go on tour, you get an even deeper relationship with the songs—and your favorites begin to stand out. But from a strictly writing perspective, I’d say “Angels We Have Heard on High.” It gives me that feeling, especially the spiritual side which is special. It ties in with my faith, which is a huge part of what Christmas means to me. It’s why the song resonates with me. On the opposite end of the spectrum, “Christmas C’mon” is so much fun. I was so stoked about it when we wrote it [with Autumn Rowe and Jon Levine]. I thought—this is what I wanted, a song that makes you dance. Were there certain Christmas albums influenced you? Christmas (2011) – Michael Bublé—it’s on repeat at my house during Christmas. ’Tis the Season (2016) – Jordan Smith—a killer album. Orchestral Music—my dad had all the old albums with classical interpretations. All that old school stuff is very nostalgic to me. How did the idea of “Christmas C’mon” come to you? It’s about how you wait all year for Christmas to come. When it gets closer, you think—oh my gosh, I’ve waited all year for this: “There’s been times before you wished for so much more.” Sometimes life is hard—it isn’t perfect or the way you wanted it to be. But it’s Christmas, so let’s put on a song, and dance—and be joyful together. Is there a particular event that inspired the song? My last two Christmases have been really hard. It’s been a hard time of year with family health problems, and I had a friend pass away right before Christmas. It’s been tough. However, I got through it because my family and I—we bonded together and still celebrated Christmas. It pulled us through some of the harder times in my life. We said: let’s enjoy Christmas together. It’s about loving our time together—no matter what’s going on. How did you come up with the idea of incorporating dance and electronica to your classical violin training? I wanted to make performance a part of it. I did some talent competitions during my later years in high school. Then I got a little bit into performing. I remember thinking—I don’t want to get up there and just impress people. There were other girls dancing to jazz pieces, there were comedians. It was a talent competition. There were always other violinists, and I was about equal skill level with them. I needed to stand out. How was I going to be flashy and fun as that dancer there? That’s when invented the idea of not just going out there to impress, but I was going to entertain. I was going to be quirky, and a little funny in my performance. That all happened even before I got started. Were you afraid of the audience reaction? I was curious as to how the audience would react. I didn’t know if they would hate it or like it—or be confused. I wanted to stand out and be different from the other violinists. I remember being shocked at the reaction of the audience. They were smiling and clapping along, and it was unlike any other feeling I’d ever felt on stage. Usually I’d perform, and people would politely clap. But this was so different—it was a different kind of energy. In that moment, I fell in love with live performance. I had to figure out how to make this my life. The dancing at the time was incredibly rudimentary. It was so simple—basically stepping to the beat of the music. But, it was the beginning of something, and I felt it and honed the craft. I recently went to an Evanescence concert, and I hadn’t seen Amy Lee perform. She was such an inspiration to me in my teenage years. Songs like “My Immortal” and “Bring Me to Life” from that first big album [Fallen, 2003]—that was such an amazing album. I love the music which was a combination of light and darkness. There were dark undertones and heaviness mixed with light piano and melodies that twinkled. With her soaring voice, I thought it was such an amazing musical contrast. When I first started writing music, I looked to that to create feelings of light and dark in my music. We usually start with the chords—writing a basic track using piano and synthesizers. We start with rough tracks. Then, I’ll add violin melodies once we have the chords and some inspirational sounds—any twinkles or things for me to work with. And then I’ll write the melody. Try different things. It’s always uncomfortable because it’s easy to stick with what you know—the people you know, the producers you like. But don’t be afraid. Switch it up. Try working with brand new people you’ve never worked with. Try writing in a way that is unfamiliar and maybe uncomfortable. It’s amazing to see what those situations will bring out of you. It has to be that time that I described earlier—the talent competition when the audience responded in such a huge way. I thought—what is this feeling I’m feeling? It was that adrenaline from the stage. I was addicted in that moment. I had to figure out how to keep doing this because it felt incredible. When I record, I use my really nice acoustic violin—her name is Excalibur. I have a Roth violin. When I tour, I usually use a lot more electric violins—Luis and Clark violins. I use some acoustic violins on tour because I love the classic acoustic sound. But the electric violins are showy and they can sparkle, be bedazzled and painted. They’re almost like costumes—it’s part of the look and feel of the tour. ASCAP. I’ve even performed at their Sundance events. I’ve felt that way so many times, but I’ll have to say performing with Celine Dion at the Billboard Music Awards. Looking behind me and seeing the amazing Celine Dion sing, and the live stage at the Billboard Awards was memorable. I thought—what has my life become—wow! I have always had certain standards that I wanted to live by. But when you’re starting out, you want to take whatever comes your way—maybe because you’re a little desperate for your art to be heard. And the thought in your head is—maybe it never will be—and that’s horrifying. It makes you cling to any possible chance, no matter what it offers. I remember going to a Donny & Marie Osmond show because I was performing in Las Vegas in a club that I realized I didn’t want to perform in. I was really discouraged and decided to go to the Donny & Marie show. I reached out to their manager, and he was very kind and got me tickets to their show. He spoke with me afterwards, and gave me a lot of sound advice. I asked him how Donny & Marie did what they love, did it in a classy way that keeps their values intact, and can be proud of the people they are and the standards they’ve maintained. He kept encouraging me to not ever bend on the things you want because once you do—it is way harder to go back and redefine yourself. If you hold to that in the beginning, it becomes a part of you—something you can maintain. I took that to heart, and I’ve stuck with it. I’ve said—No, no, no—to a lot of things in the beginning because I was trying to maintain those standards. And I have been infinitely rewarded for that. 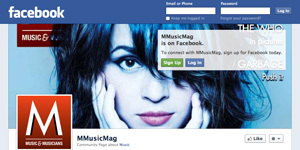 You are the model of a modern independent recording artist, with a symbiotic relationship with her fans. How do you keep it up? I wish I can be there for every single fan—and respond to each comment. Sadly, I can’t respond to everyone. I go on Instagram and Twitter and try to respond to people to let them know that I’m reading their comments, and I’m seeing their posts. It’s important to do that. But also taking a moment once in a while to be really appreciative—to let them know, even if it’s a big post that goes out to everybody—to say “Thank You.” Like the other day, I wrote a gratitude post—letting everyone know—wow, I am so grateful for what you all have allowed me to do. At times, I forget to tell people how grateful I am. That’s just an important daily life skill, besides a way to communicate with fans. What is the driving force that makes you want to keep making music? I’m constantly being inspired by new music. You hear new sounds. You hear music and think—I’d love to do something that’s inspired by that. It’s fun to change your music. Every album of mine has a slightly different sound. I’m sometimes terrified because it’s a little scary to go in and try something different and maybe reinvent the wheel without going too far. It’s a difficult balance to attain, but that’s what keeps it exciting. I think it’s funny when you hear artists talk about fans who miss the old stuff. No one stays the same forever. Everybody develops. Everybody grows. Sometimes I don’t know if fans realize that we are not a frozen entity—we are humans. We like to change and evolve. We’re not going to stay in a time capsule. If Lady Gaga was doing the same thing she was doing years ago, she wouldn’t be able to have a strong fan base. Her fans are part of her change—even if they say they don’t want that change. Even though people say they miss the old, if we stayed the same—they wouldn’t keep coming back for just old music—it would get stale. 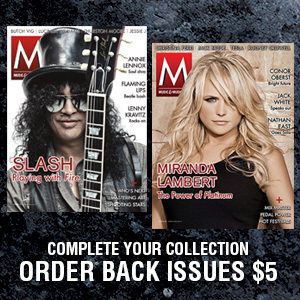 Is there a musician who continues to inspire you? There are so many. I really like Pink. Her performance style is amazing. She’s one of my favorite live performance artists. She’s also done well staying current and loved—and real with herself and her fans. She’s a mom—she really rocks life, and I like that. How can new fans stay updated?